Episode 65: Right place, right time. This week Audrey shares what she learned at this year’s Allied Media Conference in Detroit. [32:45] Does Detroit’s Project Green Light really make the city safer? 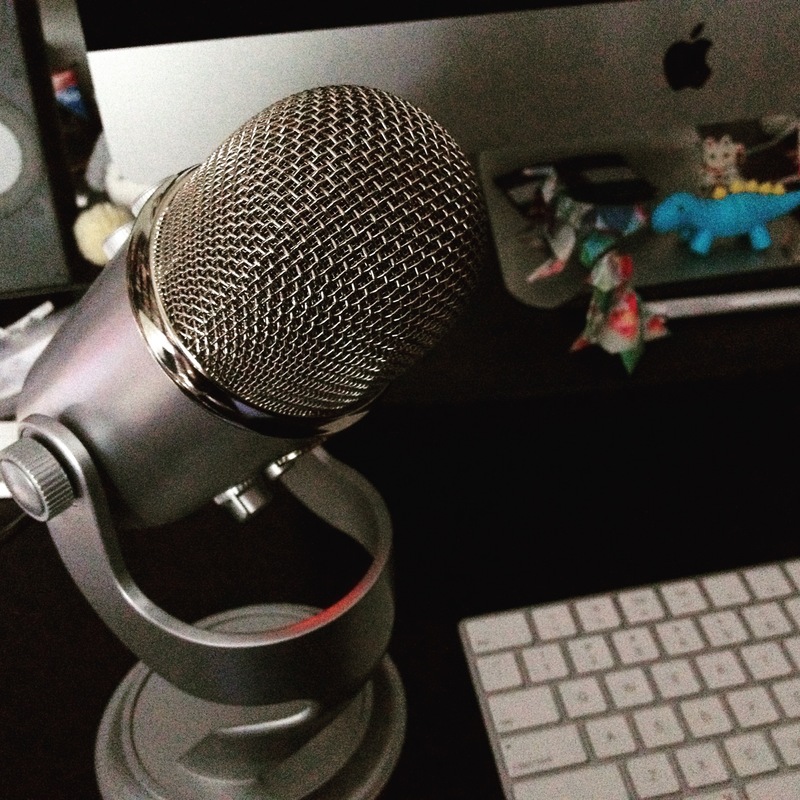 We broadcast our episode recordings LIVE on most Fridays at 10am PT. No broadcast June 29. Mark your calendars and visit recompilermag.live to tune-in. You can leave a comment on this post, tweet to @recompilermag or our host @christi3k, or send an email to podcast@recompilermag.com. CHRISTIE: Hello and welcome to The Recompiler, a feminist hacker podcast where we talk about technology in a fun and playful way. I’m your host, Christie Koehler. All right. We should be live. Hi, everyone. CHRISTIE: Hi, Audrey. It’s Friday, the 22nd of June about noon Pacific Time. We are doing our live broadcast of Episode 65 recording. CHRISTIE: This week, Audrey, you’re going to share what you learned at this year’s Allied Media Conference which just happened in Detroit, Michigan. CHRISTIE: But first, I think we have some announcements. AUDREY: All right. We are a community sponsor for DevOpsDays Portland. It’s happening September 11th through 13th. You know, I was thinking this is, I believe, our third year as a community sponsor for the event which is pretty cool. AUDREY: Yeah. DevOpsDays events are focused on the intersection between software development, IT infrastructure, the work that people do. And we have a discount code for 20% off your registration, it’s RECOMPILERFRIENDS. They will probably sell out before the event, so don’t wait too long. I was looking at the speakers, they’ve got the speakers up. And I know that one of our contributors, Heidi Waterhouse, is giving a talk titled Disaster Resilience the Waffle House Way: Flat-tops, feature flags, and finite state machines. And that really sounds like something that’s up our alley. AUDREY: I think that’ll be pretty cool. CHRISTIE: Awesome. Speaking of conferences, we have our own little conference that we’re running next week. It will be the 10th and grand finale of Open Source Bridge, and that’s on Friday, the 29th. Tickets are still available. We’re going to be having some key notes and some unconference sessions to talk about different things regarding open source and our open source community and sort of what are we going to do next, and then we’ll have a party. I can assure you that there will be cupcakes and yummy food. Anything else about that, Audrey? AUDREY: No, just that I think that we’re both excited to be able to wrap this up in a really reflective way. CHRISTIE: Yes. And Issue 8, our Wildcard issue is online. CHRISTIE: Is that right, Audrey? AUDREY: Yeah. All articles are now on the website. It took me a little bit longer than usual because there were just a lot of graphics and I always want things to look perfect and then that’s [inaudible]. But Issue 8 is now online for all articles. We really have a great range of stuff from cell networks and understanding how they communicate and how they can be interfered with. There’s astronomy and Tabby’s Star which has become less mysterious in the last year as people explore it, but that’s actually part of what’s cool here. And front end developments, some personal experiences. It’s a really fun set of things. So, it’s online. You can go read it. And we also have a couple more print copies available in the shop. And when they’re gone, they’re gone. So if you want one, you should order. CHRISTIE: So RecompilerMag.com will get you both to the online articles and then there’ll be a link there to the shop. Awesome. So Audrey, you went to the Allied Media Conference, AMC, I guess last weekend. AUDREY: Yeah, that’s why we didn’t record last week because I was in Detroit. CHRISTIE: Right. And your tweets reminded me just how warm and humid it already is there in June. AUDREY: It’s just really warm and damp and it clings to you. CHRISTIE: Humidity. We don’t get a whole lot of humidity here in the Pacific Northwest, even though it’s very wet. First off, Audrey, tell folks what Allied Media Conference is. AUDREY: It’s a very large multi-community event that’s been happening for 20 years now. I think the last 10 years with not exactly the same organizers but similar set of organizers in Detroit. It focuses on really just a breadth of kinds of media from the kinds of things that we do with podcasting and publishing to filmmaking, and just community care conversations and there are lots of different groups that come participate. There was a Puerto Rican delegation, there’s a healing justice network that participates. It’s very centered around people of color. It’s centered around a lot of sexual and gender diversity. It’s a very queer event. And so, there’s just a lot of different things that are centered there that I think that we often don’t see when we talk about media and communication. And there’s a big community technology conversation that’s been happening over the last few years because technology is just such a huge part of those communication aspects. Even though we do both really analog and really digital things at The Recompiler, digital technologies have a really big impact on marginalized groups now and how people are able to communicate and share their experiences. CHRISTIE: Cool. I’m trying to think of something. AMC is usually structured. Usually like a day or two before, they have some network gatherings which I think vary in their level of openness. Like sometimes there are sort of more closed groups that need to do focus work and then sometimes there are more open, you can register for them. AUDREY: They’re like a series of mini conferences. So some of the groups that have them, this is like their annual meeting that they have. That’s why they’re closed because there’s a membership, like an existing membership that’s getting together to work on things. And some of them are open. They’re structured around networking, connecting more people. And so, each group that organizes one gets to decide how they want to do that. CHRISTIE: And then there’s the main part of the conference which sort of have more traditional talks and workshops. And then throughout, there’s difference art projects and social gatherings and things like that. I started to get a kind of talk about the structure of how it works. AUDREY: There are screenings or workshops and performances. There is music and dancing at night. And there are a bunch of tracks organized by different groups of people. So there’s a lot of diversity in the content in that way too. CHRISTIE: Yeah, there’s a huge amount of content. There’s a huge amount of diversity. It can be a little overwhelming, I think, if you don’t have a plan or if it’s your first year going just because there’s so much going on. A lot of the sessions will fill up too. I didn’t go this year but I’ve had experience in previous years where there’s kind of…it almost has a festival air in certain aspects in that way. AUDREY: And I think that it is a difficult event for newcomers and difficult if you’re not part of one of these existing networks that participates. AUDREY: That’s something that I continue to see people struggle with. CHRISTIE: One thing I notice is that a lot of groups go there. And so, there will be these big groups around and I think if you’re a single person…anyway, it’s something I think is really worth going to. But I think gathering a couple of people to go with would be helpful especially if you’re introverted. So, what were some of the some of the standout things for you that you learned about, Audrey? AUDREY: Well, this is my second time going. As you know Christie, the two of us went two years ago. Last time, we didn’t participate in any network gatherings together. But this time, I went to one run by FemTechNet which is a group of people that have kind of worked on, at the university level, decentralizing access to certain kinds of curriculums about technology and society. And they’ve worked on a couple of projects together. What I thought was interesting about their network gathering is that while they wanted the general group of us that came to participate to learn about what they’d been working on, they were as interested in helping us build connections between ourselves as people who’d sort of seen feminist technology on the page and decide to come find out what was going on. That was really valuable and also kind of surprising in a delightful way. Just randomly sitting down at a table, I found myself around people who had a lot of interests in common with me beyond just sort of the general header of feminism and technology. We were a group of people that was really energized by community mesh networking with the internet projects. I discovered really quickly. Christie, I texted you because I discovered that I was sitting across from somebody who had worked with you and I thought that was really funny. AUDREY: And there were a couple of us, too, who have done things around labor organizing and technology. And we had another intersection of people who were involved in libraries and digital archiving. They had us do this exercise where we just sort of mapped them out. We wrote things on the tablecloth like, “Oh, here’s our connections between this and this and this.” And each table came up with just a completely different set of things which also just helped me. I don’t know, it’s so funny when you end up in the right place at the right time and you have those kinds of connections. CHRISTIE: Yeah. I hadn’t started a new job and everything I was just like, “This is not on the table this year.” But then when you texted me and then I started seeing all the tweets, I was having a little bit of like, “Ohhh, I wish I were there,” in part because of that, those connections that you make and what not. So, FemTech was the network gathering you went to. What else did you do there? AUDREY: There was a track that was on…I forget what they actually titled it….digital privacy and consent. Basically, there was a whole track on that. But there were a lot of talks that made it into the general track that were about the intersection of things that we’re talking about all the time on the podcast about data collection, the use of algorithms and analysis, privacy, safety, community participation and consent. What else? The internet infrastructure, I went to a couple of talks specifically about building out infrastructure. And so, I managed to fill my entire weekend with this set of conversations that felt really relevant, really energizing even though everyone’s talking about these very tough problems. But it was the first time that I’ve seen such a huge intersection between the activism and social justice side of this. People who were coming in because of their grounding in their communities and not because they’re technologists, and people having the technology conversations about what we’re capable of, what we’re currently doing, like what we’re breaking. To see those things come together just in so many different ways was really amazing. I just haven’t seen that happen. It’s always felt like there’s a little bit of a wall between those two things. So watching how people were getting the technical skills to ask better questions and watching that there were people with technical skills who are really trying to listen and understand what these communities want, that was just so worthwhile to be there to see that. CHRISTIE: Yeah, that makes sense. And that doesn’t surprise me given my previous experience at AMC. It’s so refreshing to me to be there when I spend so much time in very, very homogenous tech circles. And where if topics of social justice activism come up, it doesn’t feel very grounded in practice and in the communities themselves. Whereas at AMC, it’s the complete opposite of that. AUDREY: There was a thing that one of the people at my table at the network gathering said about feeling her shoulders come down, about the defensiveness of being around. I think what we had written on our tablecloth was that collectively, we were surrounded by brogrammers. But just the defensiveness that you feel, the physical defensiveness and what a relief it was even just to spend a couple of hours around people who validated your feelings, validated your perspective. The physical impact of that, I thought was really interesting. CHRISTIE: So you put in our show notes, you’ve got a couple of links to some specific things here. One of them is Our Data Bodies Project. Tell us about that. Did they do a talk or a workshop? AUDREY: They did. They did a couple of things, actually. One of the researchers was in one of the plenary discussions. These are big panels that everyone can go to. There was one talk that they gave just specifically about how they’d done the workshops and the tools that I missed. And then there was another, the researchers I saw at a talk I’ve got a little bit further down the show notes about consent in data. So they were really heavily involved in multiple talks, multiple conversations. And what I thought was interesting about this, it was a couple of things, that they’re doing workshops that are about teaching people about the impact of data collection, about what it means for them personally. So they’re doing this awareness raising thing, an educational thing. By doing interviews and by listening to what people say in the workshops, they’re also creating a body of knowledge about how people are impacted, how they understand how they’re impacted. And I really liked seeing that and how people were, like elsewhere in the conference, how people are making use of that because it’s such an overlooked thing. This really goes to the heart of what I think we’re talking about today that people are their own authorities about their experiences and about their lives. And if we’re denying people the technical information or technical education to understand that, then we’re basically taking a part of them and putting it over here without them having access to it. And I really liked the idea of framing it as an extension of yourself and not just sort of like a discrete separate item. CHRISTIE: Yeah, you told me about this project. I went and looked at their website and I really appreciated in their About page or something because it’s interesting. It’s a research project and with a pretty sort of, I don’t know if it’s novel but a pretty unique approach and it says it attempts to combine community-based organizing capacity building and rigorous academic research. And then this also really jumped on me. It says process is slow but our ability to engage and elicit rich stories from people seems very strong. It’s more than just a research project. It says it’s a healing process that allows people to tell their stories and encourages them to move from paranoia to power and provides better understanding of how they experience data collection in their communities. AUDREY: The organizers that were presenting and were in attendance, they didn’t just talk about the process of the research or the sort of general conclusions that they’ve come to. They really made an effort to share the stories that people had told them, the specific commentary and specific experiences that people had told them in their research so that they could be…Tawana Petty is the one that I remember presenting about this. She said she wanted to bring people into the room, people who aren’t even participating in AMC directly. She wanted their presence in the room so that we could hear them, so that we could really understand them and not have that wall or that kind of barrier between the research and the analysis and the community. CHRISTIE: The new Jim Crow thing, did that come up in the context of Our Data Bodies project or is that separate? AUDREY: Michelle Alexander had presented. CHRISTIE: Which talks about mass incarceration. AUDREY: Yeah. So what Ruha Benjamin wanted to contribute here is that we’re encoding these things in a very technical way. We’re encoding them and we’re allowing innovation to exacerbate inequality or to create even more inequality. And it was just such a concise way of getting the point across. Like the whole room responded to it. They were like, “Ohhh…” It just really clicked. AUDREY: Yeah, for sure. She talked through it a little bit on some of the details. But she also did a really awesome thing where she talked about the history of the criticism around data and the impact on communities especially communities of color. And it was really good to see her…I think she said this outright, “As long as this sort of thing has been happening, we’ve been criticizing it. We’ve been critiquing it, reflecting on it.” It isn’t sort of like…and then we discovered that we were being surveilled and analyzed, more of this is an ongoing process, ongoing conversation and we’re just picking it apart piece by piece, even still. CHRISTIE: Yeah and I think we’ll always be doing that, which gets exhausting. AUDREY: But the process is important. And this is something that I think when we were at AMC before, we had talked about a lot that the revolution is a process, not an endpoint. This comes out of Grace Lee Boggs’ work especially that we’re not aiming for sort of the perfect shining endpoint but a process that continues to bring us closer to healing, closer to justice. And so, we need ongoing tools for critique, ongoing tools for insight. CHRISTIE: I noticed this tweet thread has a picture of the slide that I think was at this talk and it lists the cousin concepts: Algorithms of Oppression, Technological Redlining, Automated Inequality, Digital Poorhouse. And I remember when we talked about the algorithmic violence. So there’s a network of people and concepts. There’s multiple frameworks or intersecting frameworks to link to this stuff, I guess is what I’m saying. AUDREY: And that they’re not a purely theoretical thing. They’re coming out of communities, reflections, insights, self-analyses. And they’re coming out of multiple research projects. People are coming to work on this together. CHRISTIE: And I just have to…Ruha Benjamin is her researcher’s name but her Twitter name is Analog B. Wells. I just really appreciate that, which I’m pretty sure is a riff of Ida B. Wells. AUDREY: It’s funny. She has her full name on her Twitter bio. CHRISTIE: Yeah. It looks like there’s another book she’s working on. Oh, I lost it. Race After Technology with Polity, I think is the one you mentioned. What’s the other one? Or maybe that’s just it. Never mind. AUDREY: We’ll definitely have to look for that when that comes out. CHRISTIE: Definitely, yeah. You had another topic in here about digital consent being coercive. AUDREY: And that comes out of both the Our Data Bodies Project. One of the people that presented there is involved in both of these things and the stop LAPD spying organization which was started in 2011 in response to a specific policing change about data collection. It mirrors the stuff that we saw happen in Portland with the gang list, that there was sort of the police were maintaining this gang affiliation list and then it got reported on. There was a lot of news discussion about it and there were I think lawsuits too. But they said, “Okay, we’re going to stop doing that.” But instead, they replaced it with some other kind of list that doesn’t say the same thing on the label. And so, the folks in Los Angeles had discovered something similar was happening and that these anti-terrorist initiatives were being given a very broad scope to look at people’s behavior. CHRISTIE: So post 9/11, sort of. Expanded police power affects local communities in all sorts of way especially when it intersected with technology and digital data collection. AUDREY: Yeah. And they used a couple of phrases that I hadn’t heard so much before. One of them was the Stalker State. It’s not just the surveillance state that observes you but it’s sort of a stalker that seeks out information about you, seeks to use information about you. And one of the things that they said that happens in Los Angeles was that the sort of terrorism or pre-terrorism, this is a horrible term by putting it inside that scope, they were making it so that people couldn’t directly make an information request to find out who was on the list, what was being collected. So instead, the only tool that they’ve had for some of this stuff is to sue them, to use the lawsuit discovery because this stuff has been taken off the public record. CHRISTIE: Because it’s being couched as an issue of national security or something like that? CHRISTIE: We sort of talked about that. I feel like that reminds me of the issue with the FBI and the iPhone cracking and how there’s basically two divisions within the FBI that would be involved in something like that. One of them sort of works within the criminal justice system. The other one sort of works within the purview of national security and just the huge differences in what they can do. AUDREY: And that they might be relying on parallel construction frequently because there’s a group that knows something that they’re not supposed to know or they don’t have a legal right to use. And another group that wants to use in court, in arrests. CHRISTIE: Right. One is extrajudicial. The other one shouldn’t be. AUDREY: And so you have these really problematic kinds of collaboration. CHRISTIE: They’ve got this note in here. Consent can be given under a state of dependency? AUDREY: The bigger topic that they wanted to address was about whether it is ever possible for people to give real consent to data collection. And how if consent is conditional, if you have to…this is part of the Algorithms of Oppression sort of thing and the Digital Poorhouse thing about like if you have to give over personal data in order to get food stamps, then are you truly consenting? You need the food. If you have to give over personal data to receive housing, is that consensual? And so, we kind of talked through both ways of thinking about consent. Like what do we think consent is, what do we think safety is for communities. But also, like what are these constraints, what are these limitations. And some of them are very basic that if you need something and you are forced to give over personal information to get it, then that’s not actually freely given. CHRISTIE: And then community control of use of surveillance data collection analysis can be a normalizing force that’s negative. AUDREY: Yeah. They talked about a little bit how their activism has led them to be sort of contrary to what other organizations are asking for, how their sort of analysis of these things has led to kind of contrary decisions. And one of them was this really big thing about how community groups ask for oversight. They say, “Well okay, if the police are going to collect that, then we want oversight of that information. If they’re going to put people on the gang list, then we want oversight of who stays on there.” And they’ve talked about how they felt that was really a normalizing force and how sometimes…I mean, obviously having influence and having a say and being able to see what’s going on are important. But to some extent, agreeing to be on a community oversight board is normalizing the collection, normalizing the surveillance. And so, they said that there were times in their work in Los Angeles that they found that they wanted something very different than what other community groups were asking for. CHRISTIE: I think that makes a lot of sense. I feel like we’ve seen that in different contexts too. And then this one caught my attention: experiences are decontextualized. AUDREY: The kind of collection that happens in surveillance turns people into bits of information – numbers and stats. And that there’s a personal impact of being decontextualized in that way to be only seen as a series of data points. That can have a personal and even emotional impact on us. CHRISTIE: Only seem for the parts and not the whole. AUDREY: Yeah. And so, we talked in the session about how we push back on that, how do we support each other and not just say, “Hey, I don’t consent to this. This is never going to be okay for you to ask for this or to hold on to that information.” But how do we sort of make ourselves whole again. And so, there was a lot of discussion about that need to keep telling people stories in their own words and their own experiences and to re-contextualize things, not allow them to be torn apart into these pieces. CHRISTIE: Context is essential for the construction of meaning too. And if you control the context of how something is presented, you control the meaning of it or the perception of it. That echoes what Our Data Bodies Project was trying to do too about letting people tell their own stories. AUDREY: Like I said at the start, there were so many overlapping themes and concepts that was really good to see. CHRISTIE: I was also at AMC two years ago and I feel like there’s a lot more of this now than there was two years ago. Does it seem like that? AUDREY: Yeah, definitely. People are sort of having like these next level conversations that it’s moved beyond. I was really glad that the Stop LAPD Spying folks pointed this out that the thing about normalizing. I think that groups have sort of seen what’s happening, asked a lot of questions, tried to look at what they can do about it and are starting to do these kinds of things about storytelling and contextualization and to think about community control in a different way than I think that they would have five years ago. CHRISTIE: So you also learned about Green Light Detroit. What is Green Light Detroit? AUDREY: Speaking of surveillance, Green Light is a project where businesses are asked, even pressured, to opt into a surveillance program, a camera monitoring program, that is operated by the police. CHRISTIE: Real-time video surveillance of businesses basically. AUDREY: Yeah. And so they are asked to put the Green Light in the window, put the camera up. They pay for these systems and their customers and the people in their space become monitored. CHRISTIE: And supposedly, one of the sort of incentives is that the Detroit PD will be more responsive when they have issues and it that this will deter crime. CHRISTIE: And they’re even talking about making it mandatory for businesses that are open during nighttime hours. AUDREY: What I heard from the folks at AMC made it seem like there are just parts of town where this is it. If you want to be in that neighborhood, in that space, then you are being monitored with this real-time camera system. And so, that really just gets back into that issue of consent. If you live in that area, if you work in that area, how can you be possibly properly giving consent to being filmed? You are just too dependent on access to be able to give that. CHRISTIE: Anything more you want to say about the Green Light thing? AUDREY: Just that I think it’s always a false tradeoff to say that more surveillance makes people safer. The couple of news articles that we looked at to prep for the podcast, I think that they point out pretty solidly that there’s not enough information to know if this project really is doing what it claims to. That there are lots of reasons to think that it may not be having a huge impact on crime and safety or not be able to have a continuing impact on crime and safety that’s positive. But it does normalize surveillance, it does increase surveillance, and it increases the chance of misuse. One of the interviews in the news articles mentions the possibility that you go to the store to buy Cheetos and the police spot you and even use like facial recognition to say, “Oh, you’ve got a warrant,” for some unpaid traffic thing and it just can escalate very quickly. CHRISTIE: And it’s a diversion of resources away from things that might actually enrich the community. CHRISTIE: And then there’s this Detroit community tech project of teaching community technology and digital stewards. I was looking at their website and this immediately caught my eye. It says the handbook combines theories and methods by Paulo Freire, Myles Horton, Grace Lee Boggs, Bernice McCarthy, Susan Morris, Grant P Wiggins and Jay McTighe, which are…there’s a term for that kind of educational approach and I’m not remembering at the moment. Popular Education, I guess. AUDREY: Yeah, I think that’s the main phrase I saw them using. CHRISTIE: And Freedom Schools, things like that. AUDREY: This is directly tied to the Allied Media Organization, at least the Detroit part of this. There’s a long running digital literacy project. I think one of the organizers said that they’ve been doing this for about seven years in Detroit. And then there’s sort of a partnering thing from relief work in New York from Hurricane Sandy. There’s a couple of different organizations that have come together here. But the Detroit side of this, they had sort of a general digital literacy program trying to teach people basic technical skills, access to the internet type stuff. And what it’s developed into is a program that not just tries to get people in Detroit online. And I was really kind of just blown away to hear people say over and over again that 40% of people in Detroit have no personal access to the internet. They don’t have smartphone access, they don’t have cable internet. Nothing. Absolutely nothing. CHRISTIE: That seems really high. AUDREY: There are so many infrastructure problems in Detroit. AUDREY: There are whole neighborhoods that are without access and people who, if they want to get online, they take the bus to the library and they wait in line. There’s just this huge access barrier. So what they’ve done is to build a curriculum for training people to be community internet providers. They got grant money that pays to connect the…sorry, I’m blanking. The radio antenna for internet transmission that’s connected to fiber network in downtown Detroit. So they got grant money to pay for the equipment and that initial hook up to do that. They have three main anchor organizations in neighborhoods that this project serves. They’re all churches. I thought that was really interesting. CHRISTIE: And that’s another thing that happens at Allied Media conferences that tours are organized to go into the Detroit community and see these things in practice. I didn’t do any tours the first year but two years, I went on the…I can’t remember what it was called but it was really great. AUDREY: The Economy and Our Growing [inaudible] Growing Our Spirit, something like that. CHRISTIE: Yeah, that sounds familiar. AUDREY: So I went on the community internet tour and I got to see some of these anchors and hubs. And one of them was in a basement of a person who’s lived in this one neighborhood for a long time, has a music venue in the basement. He does like DJ nights, so he helps local DJs, musicians that are up and coming and brings communities together to share music. And so he’s one of the hub sites. It was so interesting seeing what different kinds of community spaces are part of this. Every site, we went to three different places and every single one of them had a different core answer to what is the internet for, what is this about, why do we bring this. But just to step back to the infrastructure a little bit, so they’re using radio system to connect from downtown to the hubs or to the anchors, from the anchors to the hubs, from the hubs to the houses. And the digital stewards go through a training program where they learn the engineering behind this. So they do like a multiple month training program. After that if they’re still interested, if they complete the program and they’re interested, then they apply to come on as digital stewards which is a paid job. And as digital stewards, they go and they talk to people in the community. They ask them if they want internet service. They explain the program to them and then they hook them up. They go in and they set it up. CHRISTIE: Do people have a device to access the internet? AUDREY: It didn’t seem like that was the major thing that they had to provide. Yeah, that’s interesting. I mean, there has to be some kind of computer. There must be some donated computers involved in this. But that just didn’t sound like the main sticking point at all. Like maybe people had a computer and they just couldn’t afford the internet access. The grant money was able to pay for the base infrastructure and for the initial year of service. So everybody who got hooked up, their service has been free. AUDREY: It’s pretty amazing. The anchor organizations are starting to transition into the next phase of this. They’ve been working on their own community plans and business plans. So they are going to start to be charged I think a per user fee for access. It’s still cheaper than any internet service I’ve ever had. I think they said it was like $7 or $8 a month. AUDREY: Yeah. Because again, the infrastructure has been paid for. And that the rate of expansion here isn’t limited by the technology. Obviously, there are technology constraints but they’re scaling this at the speed of the community organizing, that they’re considering community organizing to be one of the core skills that digital stewards build and to be able to build that plan for continuing to offer access. It’s a core part of the program, not just an after-thought and not something that’s being handed to them. They develop that themselves. CHRISTIE: I’m trying to figure out how to say this without shitting all over the thing I’m going to compare it to. Portland has a…what the heck is our thing called here? CHRISTIE: Yeah. I’m not saying they’re the same or whatever, but I think it’s just interesting to compare their approaches and how this project in Detroit is so focused on building that community organizing and associated skills, sort of primary to the actual internet access part. AUDREY: And it’s a very decentralized approach that they’re giving a lot of autonomy to the groups because that’s a core principle. They’re not just being handed a plan that they follow. The training does get everybody on the same page. But after that, they decide how this is going to work in their community and they go do it. Aside from the community organizing side of it and the outreach side of it, the other thing that the stewards talked about was the engineering. Every single one of them said, “Trees.” Trees are really complicated. CHRISTIE: Because they block signal? AUDREY: I don’t know. I never thought about that but that was obviously a pretty intimate part of their work to think about how to account for that stuff. CHRISTIE: When the trees have leaves on them. I notice it here because in the winter when a bunch of our trees lose their leaves, we hear much more of the highway noise than when all the leaves are in. AUDREY: And they said that a lot of the buildings there are historic buildings, are old buildings. So they’re putting this infrastructure and adds value to the buildings but it’s also a technical challenge. I took a photo from one of the sets of equipment that the steward showed off. They had just this row of drill bits, all the different kinds of things they had to drill through to run a line. AUDREY: So they’re doing that day to day work and it’s really cool that it’s just very tied to the community. It’s controlled by the community, the different ways that they’re making use of it. There was a couple of folks who said, “Oh, we’re helping people get their homework done. We’re helping them look for jobs without that long bus ride to the library.” There was another steward that said, “We’re looking at how we share our art, our music.” Helping people have sort of a shared space for that. There was another group that said, “We’re building an app for monitoring pollution. We want to be able to use all of these connections to help people monitor and report on the pollution, the environmental problems that we have in our neighborhood,” because of the kinds of industrial sites they’re next to. And by giving them control of that, people are given the or accepting the decision making authority to decide what this is for. CHRISTIE: We’re getting close to time but are these portable network kits part of this project or is that a separate thing? AUDREY: They are. I mentioned that there was sort of the post-Sandy group in New York too. So there’s a couple of sets of people using this digital steward curriculum. The folks in New York haven’t…they’re still working on the connection to the outside internet. Instead part of what they’ve been exploring, and there’s some folks in Puerto Rico making use of this too, is a portable network kit that connects like a little miniature local hub. And it puts together a router, a wireless access point, and Raspberry Pi for just a little server. And they install image that they have for the Raspberry Pi. It spins up WordPress, Etherpad, a chat room called Hack Chat and a little file sharing app. And so, the idea is that even in places where there’s a layer of infrastructure that they don’t have access to, there’s a way for people to be connected. And there’s a little bit of mesh networking built into this too to be able to connect these network kits together to span a broader area, communicate more. And I just thought that was a really great resource. And that because they’ve information online on how to build these, I immediately asked, “Do I have equipment? What do I have and what do I need? Can I just get do this as soon as I get home?” And thus, I have. AUDREY: Yes. So I’ll have it to show off at Open Source Bridge. CHRISTIE: That’s awesome. Bertie’s barking reminded me that we should talk about things we love on the internet. CHRISTIE: You have…oh, it involves Pirate Radio, so I’m sold. CHRISTIE: I think I got one at PyCon like five years ago. AUDREY: Now I want to say, “Can I have yours?” Because I have ideas for what I want to do with them including the portable network kit. But I was trying to understand just a little bit better like the software on them and what people are doing with them, stuff like that, the base systems. And so, I was looking at projects that people are doing with Raspberry Pis. And there’s one of the newer versions is Zero which is just like a flat board, really minimal and it only costs $5. AUDREY: There had been this pirate radio thing that folks were doing with the raspberry Pi in general where you just load on a thing, you put some music on the SD card – that’s the main drive that it uses. [Inaudible] on the SD card and then you have to solder on a little antenna and then you’ve got a pirate radio. So there’s a variant to this with the Raspberry Pi where they put a magnet on it. So, it’s a pirate radio throwie that you could stick to the stop sign and then it would broadcast. AUDREY: The comments on the thing indicate and there’s a little bit of follow up that this isn’t a very good radio signal. Just soldering a piece of wire to one of the pins on the Raspberry Pi does not give you the best radio. But there’s a little bit of additional electronics that you can do to try to improve that. CHRISTIE: Nice. My thing involves a satellite. Yesterday morning, I guess it was, we had a little tiny rogue thunderstorm over my part of the southwest neighborhood. And this is probably like, it came right over us. At one point, I counted and I think it was like two seconds. So I guess not right over us. But in the end, how shaking thunder at 6:45 in the morning, the dogs were not amused. I do feel lucky though because in other parts really close to us, there were ground strikes that took down trees. AUDREY: I saw a lot of photos when I got up. I heard it and I managed to sleep through the storm which is a little disappointing. But I guess I needed the sleep. CHRISTIE: There’s no way we’re sleeping through that. But Northwest Portland Twitter posted an animated gif of a loop of the GOES-16 satellite imagery showing the development of the storm. And it’s just really cool imagery and I’m amazed that a satellite can do this. I’ll have a link to the Wikipedia page about the GOES-16 but it says provides high spatial and temporal resolution imagery of the Earth through 16 spectral bands at visible and infrared wavelengths. And it also has this Geostationary Lightning Mapper. But in this one, you can see the cell develop and also how the sun is also rising too. It’s just pretty cool. CHRISTIE: We talk a lot about the evils of technology on this show. So when we have something that’s just kind of nice and cool, it makes me happy. AUDREY: It sounds like the satellite is providing a lot of really useful and interesting information. And the weather service folks seem pretty excited about it. CHRISTIE: Lightning is dangerous. We had ground strikes in residential neighborhoods that took out trees. It could hit a person. And it’s nice to get updates when they’re like, “This is how long it’s going to last. This is where it is now,” and whatnot. Okay. I think that’s our show. Thanks, Audrey, for that awesome recap of Allied Media Conference. CHRISTIE: Thanks everyone for listening. We’re signing off. CHRISTIE: And that’s a wrap. You’ve been listening to The Recompiler Podcast. You can find this and all previous episodes at recompilermag.com/podcast. There you’ll find links to individual episodes as well as the show notes. You’ll also find links to subscribe to The Recompiler Podcast using iTunes or your favorite podcatcher. If you’re already subscribed via iTunes, please take a moment to leave us a review. It really helps us out. Speaking of which, we love your feedback. What do you like? What do you not like? What do you want to hear more of? Let us know. 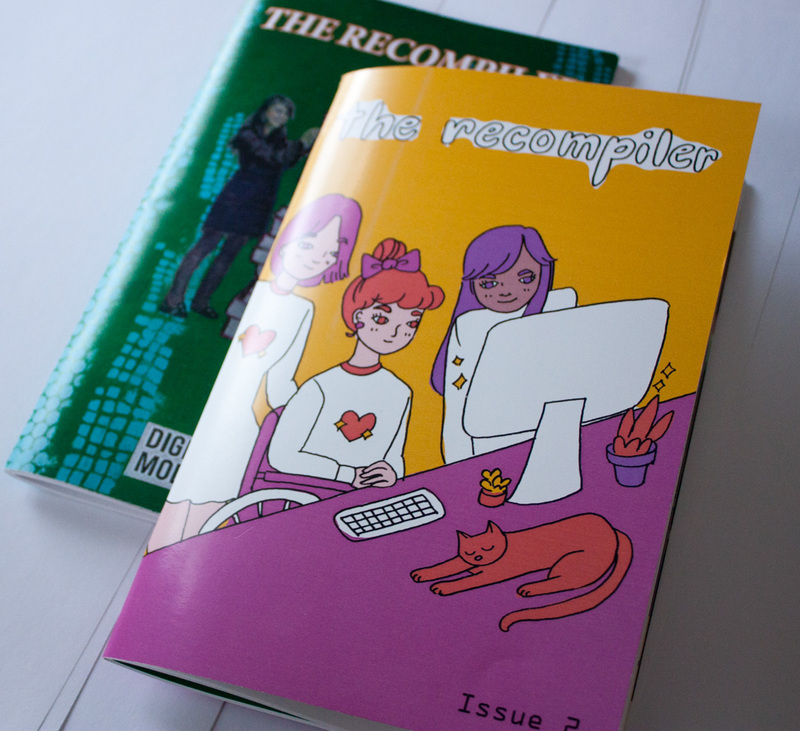 You can send email feedback to podcast@recompilermag.com or send feedback via Twitter to @RecompilerMag or directly to me, @Christi3k. You can also leave us an audio comment by calling 503 489 9083 and leave in a message. The Recompiler podcast is a project of Recompiler Media, founded and led by Audrey Eschright and is hosted and produced by yours truly, Christie Koehler. Thanks for listening.